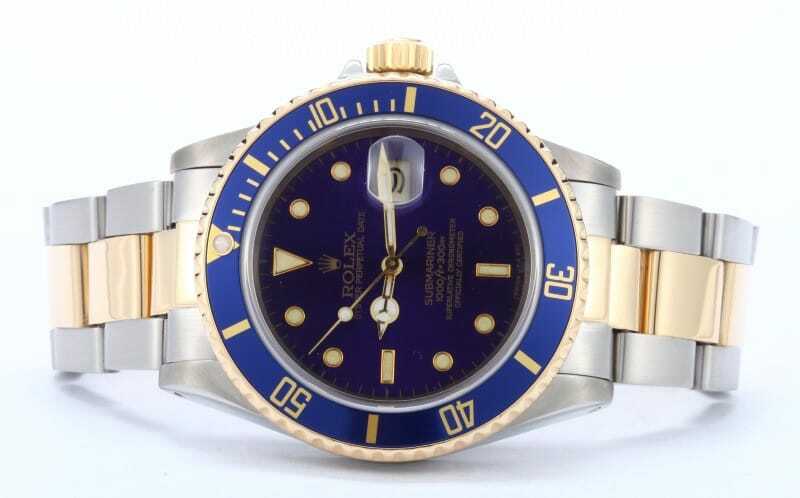 The Rolex Submariner Date 16803 was launched around 1984, but was only produced until about 1988. This particular Rolex model is special because it is one of the transitional models that introduced the sapphire crystal to Rolex watches. 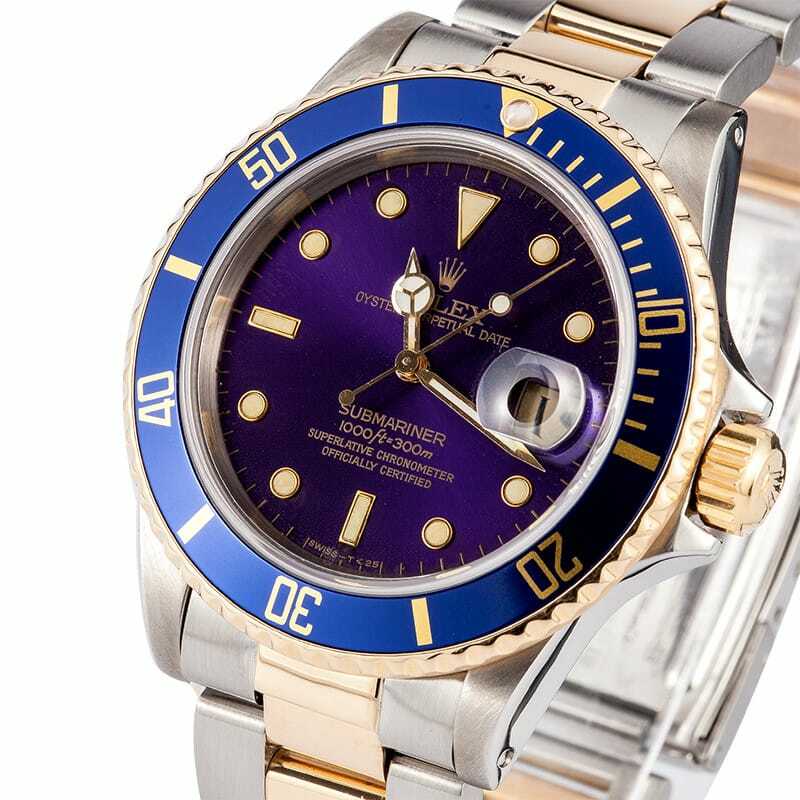 The 16803 also serves as Rolex’s first two-tone Submariner model. The Submariner Rolex 16803 offers a 40.5 mm by 13.3 mm stainless steel case with a contrasting 18k yellow gold bezel and screw down crown. 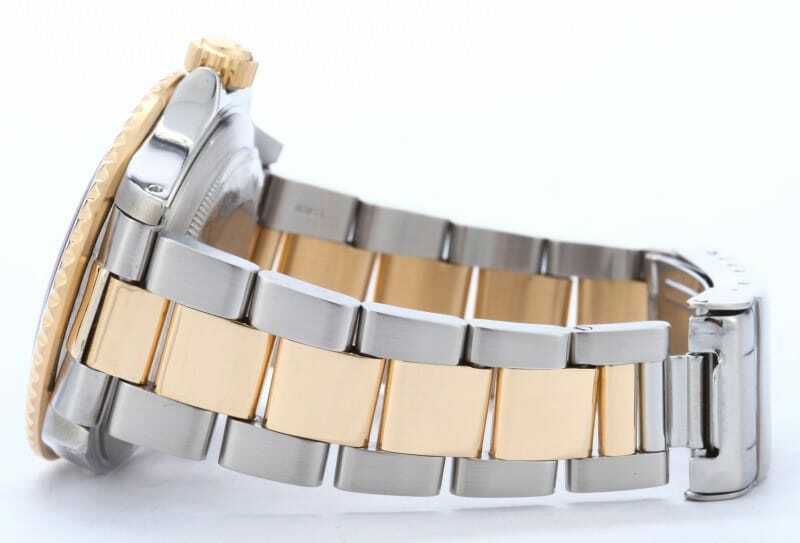 The aesthetically pleasing two-toned look of the stainless steel and 18k yellow gold continues to the Rolex Fliplock bracelet. The watch’s dial is usually found in a striking black or blue with baton and dot markers as opposed to numerals. A square date window takes the place of the 3 o’clock marker, and is accentuated by a Cyclops lens on the watch’s newly introduced sapphire crystal. As with all Submariner models, the 16803 offers water resistant features. 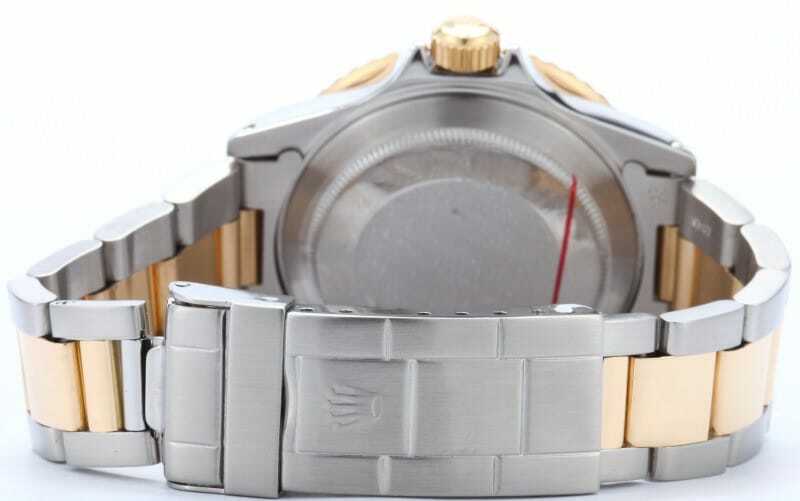 However, this particular watch offers an increase of 100 meters to the old Submariner’s water resistance rate. With older Submariner models, the highest water resistance level yet reached was 200 meters. The Submariner 16803 increased the water resistance rating to an impressive 300 meters. Despite its many new advances, the line was ended in 1988 with the introduction of the Rolex Submariner 16613. This model updated the 16803’s 3035 movement with a 3135 movement. This updated version went on to be produced for the next 20 years. Transitional watch models are often produced for only a short time. Because the Rolex Submariner 16803 was only produced for 4 or so years, it makes it a rare model. Rare models watches are likely to continue to go up in value, not only as a rare example of Rolex craftsmanship but also as a piece of Rolex history. 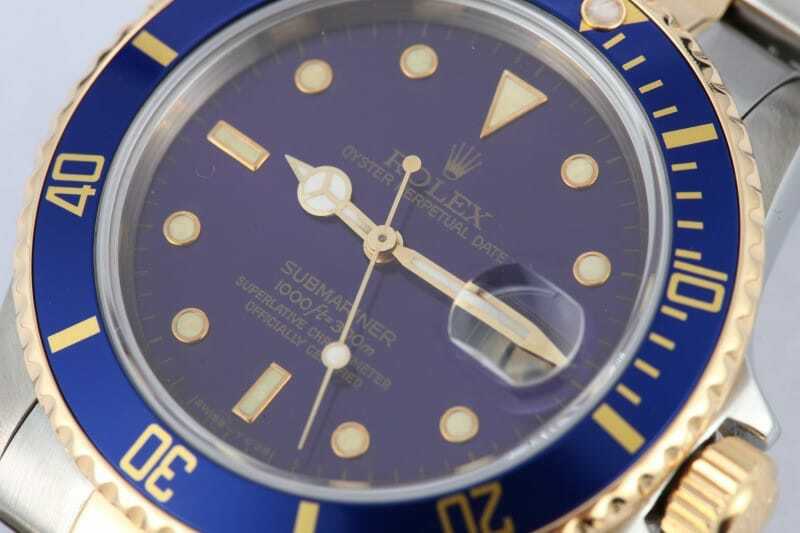 It is safe to say that Rolex Submariner 16803s do not come on the market that often. When looking for the perfect Submariner timepiece to add to your watch collection, be sure to consider the rare and impressive Rolex Submariner Date 16803.